0622 LUMO SACRAL BELT – with back pillow The Lumbo Sacral Belt provides maximum support for strained, sprained and aching back. It relieves back pain from injury or strenuous activity byreducing strain and has acompression effect aroundthe lower back and abdomen. 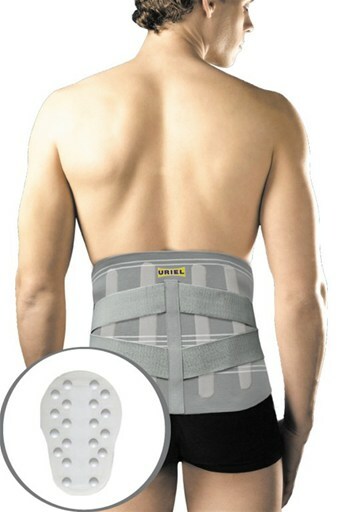 With four flexible stayspositioned vertically, it reinforces lumbar and lumbo-sacral areas and promotes good posture. Attachable/ detachable pillow for extra support on lower back. The straps help the belt conform to the lower back and fasteners allowing adjustable compression. Recommended for Lumbar Facet Syndrome, lower backpain, Sciatica, Osteoarthritis, moderate form of SpinalMuscular Atrophy, post-surgery management.